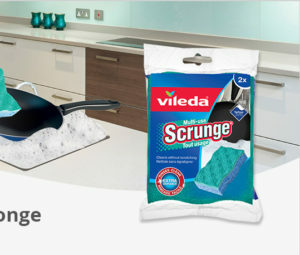 FamilyRated has teamed up with Vileda to offer Canadian families a chance to try the Vileda Scrunge Multi-Use Scrub Sponge. You must be a FamilyRated member to apply (click here to register – membership is free). You have until April 10, 2018 to apply. Selected members will be contacted by email the week of April 16, 2018.